If you're serious about becoming an animator in any style from traditional hand drawn animation to 3D computer generated animation and everything in between (even cut out or stop motion... brickmation even) this book is a must have. Not just on your book shelf but well within reach of your work space. 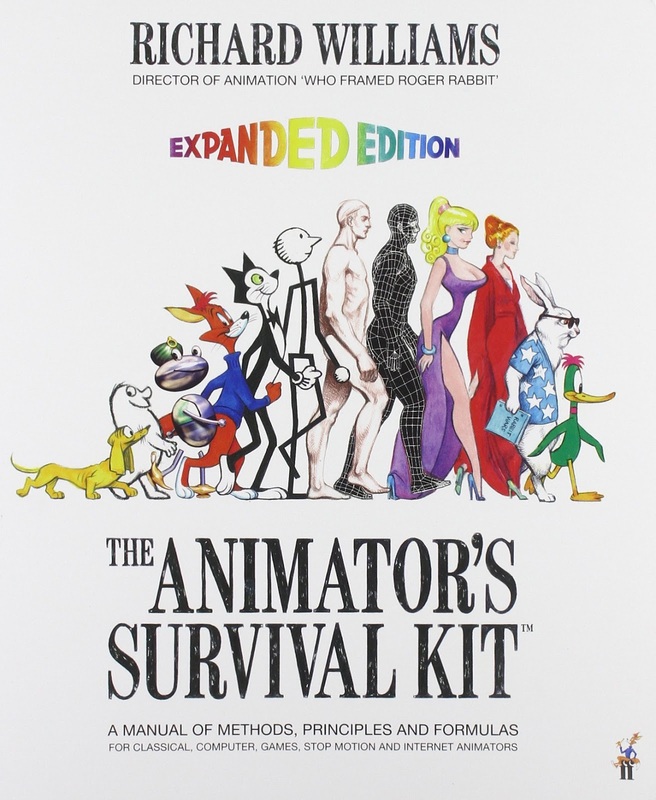 The Animator's Survival Kit, Expanded Edition by Richard Williams is considered to be the animator's 'bible' for good reason. It's simply the best book on the craft of animating I've ever read (and if you're a regular reader of this blog you'll know I've read a few). Note that I've deliberately described animation as a craft because that's what this book is all about, learning the methods, formulas, principles and techniques to create convincing animation. There's no how to draw articles here. Nor is there any tips for how to make it in the animation business or develop your show reel. It's focus is entirely on animating and how to do it well. animating a walk than this. Case in point. It's often said that animating a walk cycle is one of the hardest things in animation. You might think, that's crap I can animate a convincing walk in six frames. However the title of this book could almost be replaced with 'How to Animate a walk and some other things too' as the majority of the book is about animating walk and run cycles. After a basic walk there is so much more to think about ranging from what kind of character you're animating to what mood they're in, how heavy they are, what mannerisms they have and more. No two walks are the same (apparently). The tips, techniques and advice in this book is gleaned from some of the most respected names in the business such as Ken Harris (Warner Bros), Milt Kahl, Ollie Johnston and Frank Thomas (all Disney) and more. Animators who pretty much invented, refined and set the bench marks for the medium all channeled through Richard William's own 50 years of industry experience. Not only did Richard learn from and work along side some of the masters he also directed a few of them too. Apart from this book, Richard is most well known for directing 'Who Framed Roger Rabbit' a film that almost single handedly renewed interest in 2D animation and is still highly regarded today. Other animation books will teach you about 'squash and stretch' but this one will tell you when to use it and when not to and why. You'll also learn about timing, spacing, flexibility, break joints, weight, dialogue, acting, body language, animating animals and more. The expanded edition, which you would think updates the book for modern technologies, such as digital animation, doesn't. Richard has simply added in more important things about animation that he didn't get to include in the original edition. Things like animating birds wings, studying how horses walk and discussion about 'realism' in animation. You might pick up this book and wonder where is the section on computer animation, stop motion and all those different techniques. The fact is, this book doesn't need them. Although the focus is on hand drawn, 2D animation almost all of the methods can be applied to other animation techniques. The point of the book is sharing methods that can apply to any kind of key framed animation. As someone who works mostly in 2D and 3D computer animation there's just so many techniques here that I'm itching to try, just to see if it translates well and contributes to improving my own work. 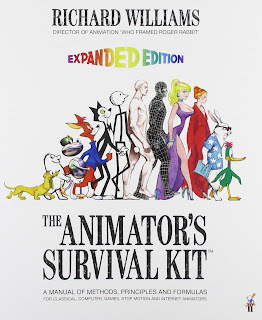 As I said at the start, this book is a must purchase for any serious animator. It's almost entirely focused on how to animate convincingly. That is the very foundation of becoming successful as an animator. All that other info about the animation industry and different animation techniques you can gain from other publications. This is the book you'll find yourself reaching for every time you're not sure about how to animate something or you just need a reference point to get you going. Project Updates - What's happening on my desk?